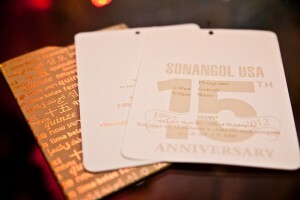 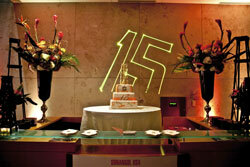 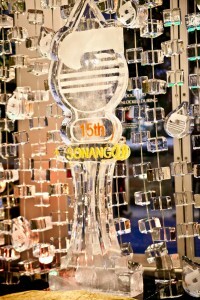 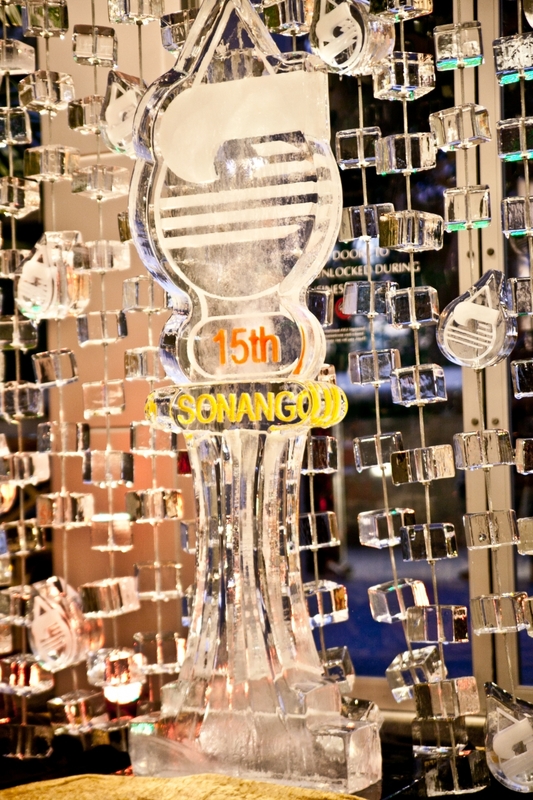 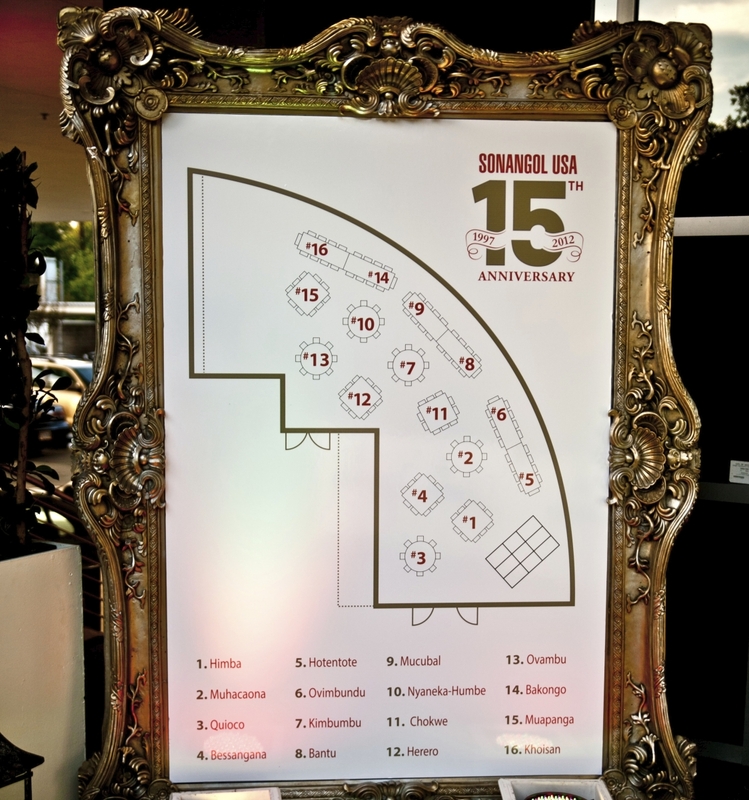 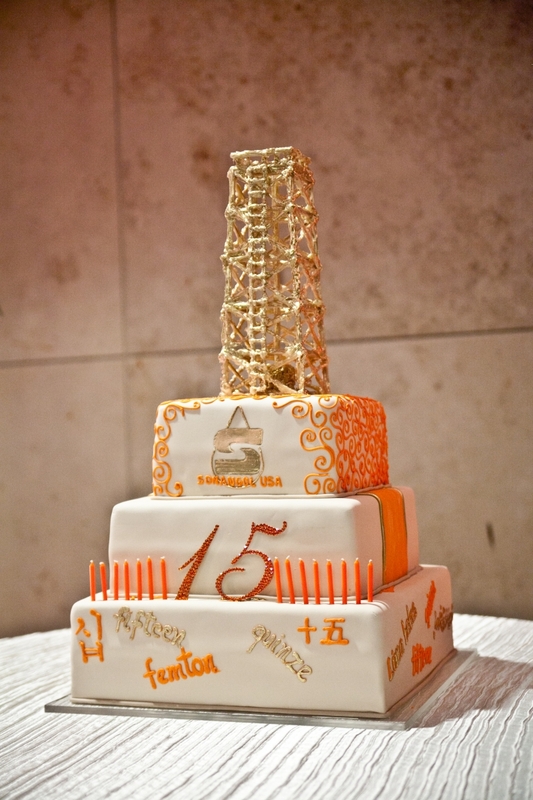 The 15th Anniversary event for Sonangol was held on November 8, 2012 at their offices in West Houston. 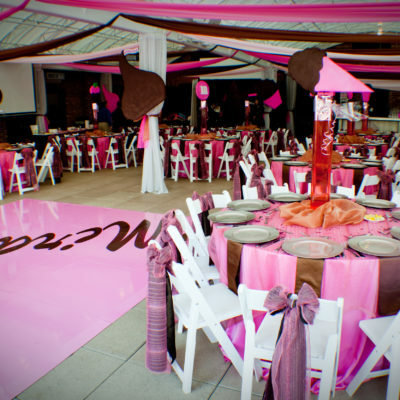 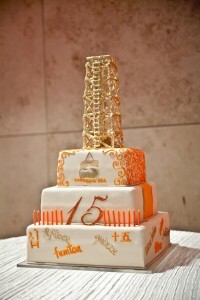 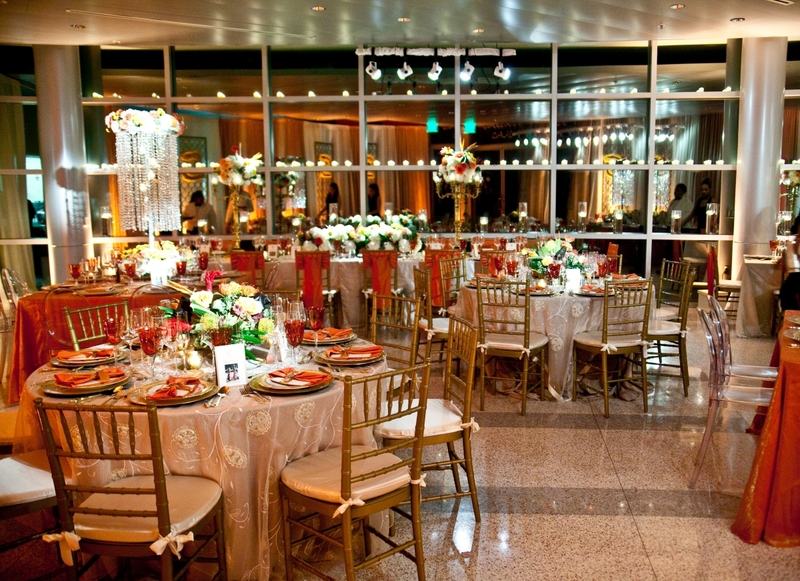 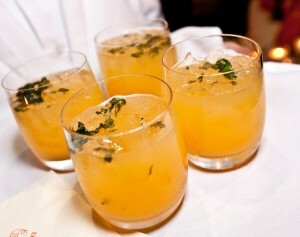 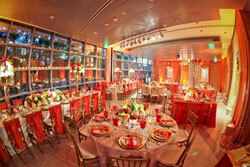 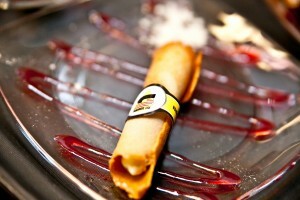 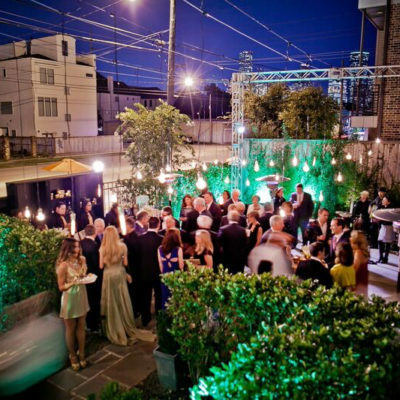 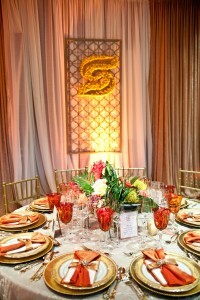 The celebration’s color scheme was gold, orange and ivory. 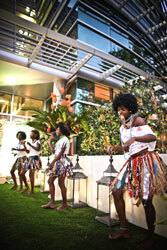 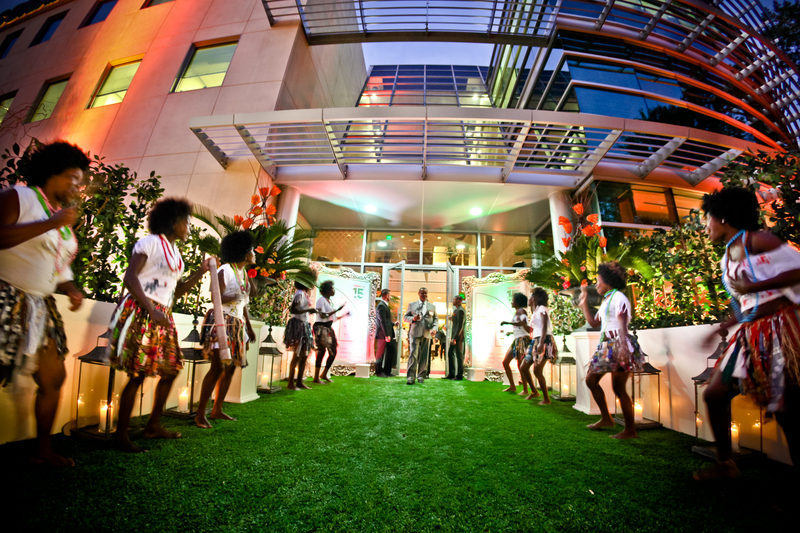 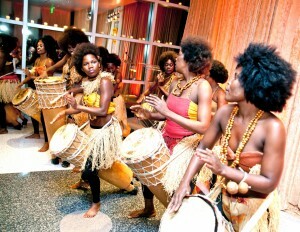 As guests received their custom name tags, they were treated to amazing thumping sounds from the Angolan drum band. 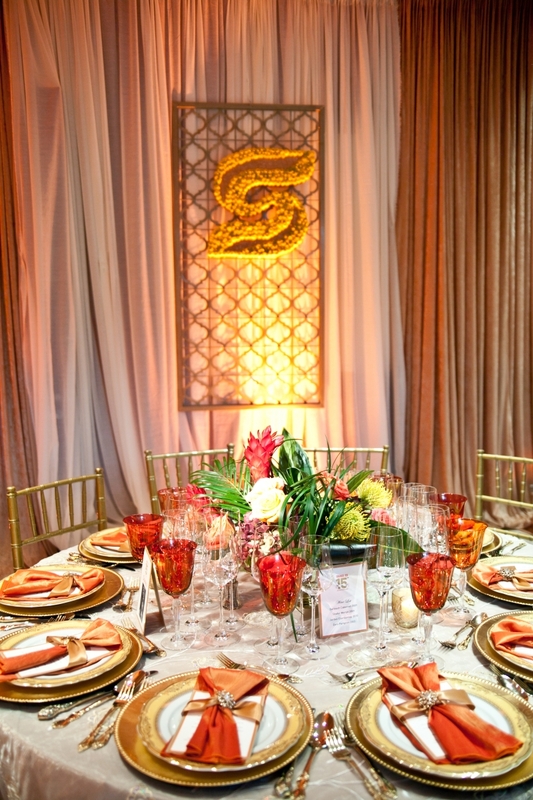 After an hour long cocktail reception with uniquely presented appetizers and speciality cocktails, the guests were seated for a six-course dinner. 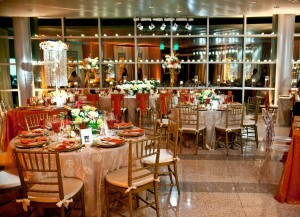 The room decor was so beautiful guests were surprised it was a cafeteria before the transformation. 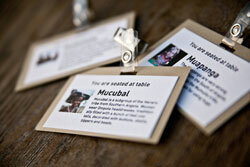 Each table setting was influenced by Angolan tribes. 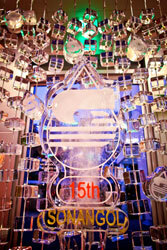 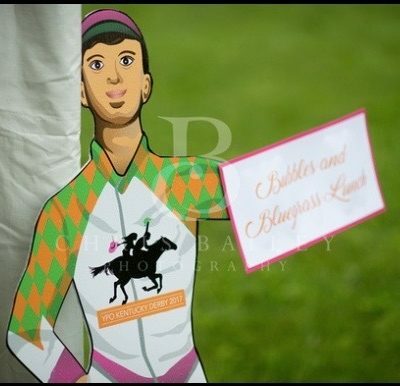 Other highlights included the massive ice sculpture wall from Ice Designs and hostesses in custom sewn scarves. 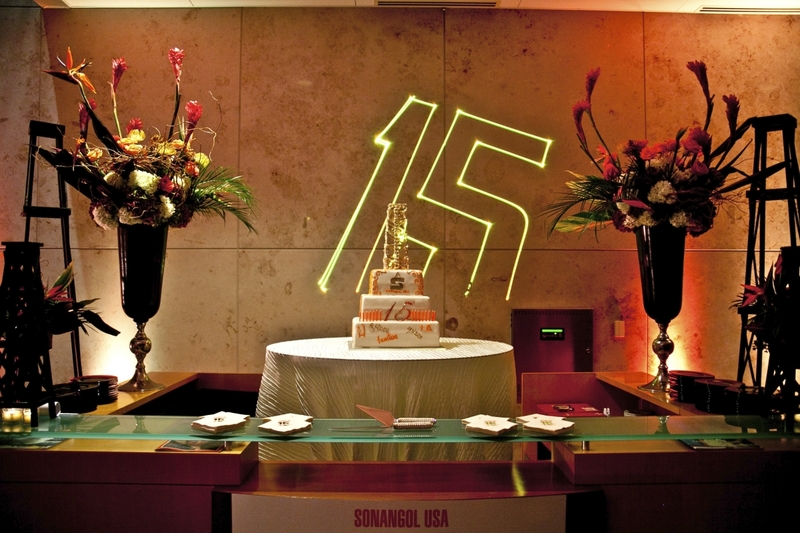 The evening ended with a spectacular laser and light show provided by Stage Directions followed blowing out of candles on the gorgeous cake from Susie’s Cakes.